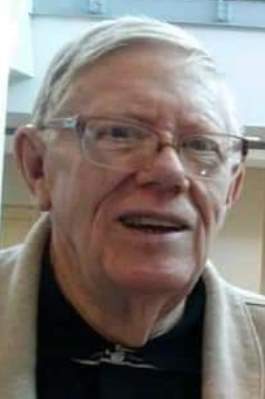 Paul H. Kuieck, 77 of Clyde, OH passed away surrounded by his family on Friday, January 18, 2019. He was born on December 9, 1941 in Grand Rapids, MI to Herman and Clara (Bulten) Kuieck. He was a graduate of Creston High School in Grand Rapids, MI. Paul married Beverly Maack on November 15, 1963 in Grand Rapids, MI and she survives. He was a store manager for Zondervan Corporations. Paul then became a Minister of Music for several churches, including; Faith Baptist Church, South Lawn Church of God, Trinity Baptist and Bethel Reformed in Grand Rapids, MI, Calvary Baptist in Sandusky, OH and retired from Grace Community Church, Fremont, OH in 1997. He enjoyed cooking, traveling and music. Paul is survived by his wife of fifty five years, Beverly Kuieck, Clyde, OH; children, Todd (Kimberly) Kuieck, Republic, OH, Stacey (Mark) Lemmermann, Rocky Mount, NC, Troy (Brenda) Kuieck, Fremont, OH; sister, Nancy (Rick) Kious, Caledonia, MI; grandchildren, Thomas Kuieck, Johnathan (Amanda) Kuieck, Daniel Kuieck, Heather, Millis, Alyssa Millis, Nicholas Lemmermann, Christian Lemmermann, Mackenzie Kuieck, Madeleine Kuieck, Marshall Kuieck; great-grandchildren, April Hussell and Chloe Kuieck. Visitation: Friday from 2 to 4 p.m. at 6 to 8 p.m. at Wonderly Horvath Hanes Funeral Home and Crematory, 425 E. State St, Fremont, OH 43420. A memorial service will take place on Saturday, January 26, 2019, 2:00 p.m. at Grace Brethren Chapel, 1820 OH- 590, Gibsonburg, OH 43431. Burial is private for family at McGormley Cemetery, Fremont, OH. Memorials can be made in his honor to Grace Brethren Chapel. Our condolences to you and prayers for you during this bittersweet time, as we heard of Paul’s homegoing this weekend. I, as well as my late parents, were blessed by his friendship and encouragement as we served together at (then) Fremont Grace Brethren Church, when Paul was Director of Music there. I still have a lot of great memories of times spent together working on music and having fellowship over some great meals he prepared. He encouraged me to develop my vocal skills, which I still use to this day in leading congregational worship with my wife and others. Our loss is Heaven’s gain and we look forward to seeing him again in person! Bev, I am so sorry to learn that Paul didn’t make it. I grieve for you, my friend, and I keep you in my prayers. Love you. Dear Bev and family, I am so sorry for your loss of precious Paul. I personally became close to him during the preparation of my parent’s 50th Anniversary celebration. He was such a classy man and only wanted the very best for them. Because of Paul, the day went so smoothly and endeared me to Paul forever. I know so very well the heartbreak of losing close family members. I always say to myself: “They are only gone for a short while. I will see them again soon.” What a comfort this is!!! Beverly, you have our sympathy. God is your comforter and strength. He will not leave you nor for sake you. Helen Brooks and Pauline Gardner. We are thinking of you Bev….you & Paul were wonderful neighbors & a huge help in encouraging us to be at Grace, where we received true salvation. We surely benefited from one of Paul’s many talents through the music ministry. He used his time and talents well. It is a huge adjustment to suddenly be without one’s life pardner. Our prayers are with you. Dear family. Paul will be remembered as a very warm and gentle person. We are thinking of you all and are remembering the good times and laughter we had together. Love sent from the Netherlands.